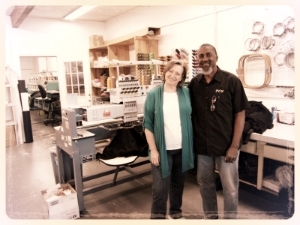 For the past 20 years, TCB Embroidery has been providing quality embroidery service to residents and businesses throughout the Santee and greater San Diego area. Family owned and operated, we work side-by-side to create exceptional work that fits the individual needs of our customers. We offer friendly, personal service with no minimums on order size. We can accommodate your school, team sport, corporation, or simply monogram your towels. Integrity and exceptional service are our goals. We've done work for many satisfied clients, big and small. Contact us today to find the embroidery solution for you! Read about us on patch.com! I live in Tallahassee Florida and have ordered shirts for the vet I work for and have gotten them in record time. They are very well made and were just what I ordered. It was not a rush job but I had them in a week or less. That is all the way to Florida. Would recommend them to anyone. I will be ordering more shirts and only from them.